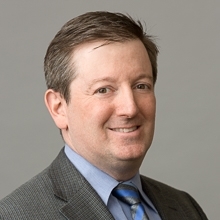 David Gass is a registered patent attorney for biotechnology companies, pharmaceutical companies, diagnostics companies, universities, and research institutions, helping clients develop and implement IP strategies to protect and commercialize life-improving biotechnology inventions. He assists clients with patentability analyses, drafting and prosecuting patent applications, and maximizing patent term and patent life-cycle for products. He also assists clients with freedom-to-operate issues relative to the IP rights of others. He has experience with appeals and inter partes proceedings before the U.S. Patent and Trademark Office, including interferences, reexamination and reissue proceedings. Mr. Gass also assists clients with international patent portfolio management and licensing, and advises counsel in foreign patent prosecution and opposition proceedings. He has lectured students and industry in the United States and Europe on intellectual property matters, including chairing of panels at the 2010–2013 BIO International Conventions on “IP Issues Affecting Biomarker-Based Diagnostics,” and the 2017 BIO International Convention on "Innovation and the Human Microbiome." Authored BRIEF FOR AMICI CURIAE to the U.S. Supreme Court for prominent biotechnology, pharmaceutical, and university trade organizations in Sequenom, Inc. v. Ariosa Diagnostics, Inc.
Counseled research institution and prosecuted portfolio of patent applications relating to angiogenic treatments for ischemic conditions and anti-angiogenic treatments for cancer and ophthalmological conditions. Continued prosecution of portfolio for a startup company built around these technologies. Secured more than 20 U.S. patents and numerous foreign counterpart patents for prominent platform technology for large pharmaceutical company. Assisted with U.S. interference and subsequent prosecution of patent application for important plant biotechnology invention. Provided freedom-to-operate counseling to clients that wished to develop products without infringing valid intellectual property rights of third parties. Counseled clients in U.S. interferences and assisted foreign counsel in European and Australian opposition proceedings. Mr. Gass received his J.D. from University of California, Berkeley, Boalt Hall School of Law (Berkeley Law). He attended the University of Michigan as an undergraduate, and graduated with Highest Honors and Highest Distinction with a B.S. in cell and molecular biology. Prior to attending law school, he worked for two years at the University of Michigan as a researcher studying plant mitochondrial genetics. "Innovation and the Human Microbiome: Patent Eligibility and IP Protection,” 2017 BIO International Convention, June 20, 2017. “USPTO Subject Matter Eligibility Guidelines,” USPTO Patent Subject Matter Eligibility Roundtable, November 14, 2016. “Ariosa Diagnostics, Inc. v. Sequenom, Inc.: How the Federal Judiciary Stripped a Breakthrough Invention of Patent Protection,” Corporate LiveWire Expert Guide, December 2015. “Federal Circuit passes on en banc hearing for Sequenom,” Medical Device Daily, December 4, 2015 (featured quotes). Mr. Gass also has spoken at companies and universities in Europe and the United States to educate attorneys, researchers, and administrators about the nature and importance of intellectual property rights and how to procure them, and about current developments in biotechnology patent law. Click here for additional Publications and Presentations. Mr. Gass has served on committees for organizations such as Intellectual Property Owners Association (IPO) and Illinois Biotechnology Industry Organization (iBIO) that promote strong intellectual property rights and foster the growth of the biotechnology industry. In 2014 and 2015 he co-authored IPO's comments on the U.S. Patent and Trademark Office's guidance memoranda and training materials pertaining to determining subject matter eligibility, particularly as to inventions involving laws of nature, natural phenomena, and natural products.